Discussion in 'Army' started by Vanguard1688, Sep 25, 2005. Pistols? Othre than that. Cool. one, what do you mean by SpecOps, i know it's special force, but in china Recon is mostly considered as SpecOps. two. there is no 87 in services anymore, the latest pictures show they are in some of the Armed Police units, there are a small amount of 87s. special forces use the same weapon as the other units, mostly 95s. my source in the army told me, "my unit is not equiped of 95s, the Recon units are"
three, where are the sniper rifles. four. 56C is actually in some of the marine special units, it's very rarely seen on ships, the newest picture shows it's used on a Submarine. Most ships are issued of 81.
five. no 87 in airborne either, as in chinese, "old calendar", only a few pictures show paratroopers with 87 posed for camera, it doesn't mean they use 87. from 81 to 95, people served in the paratroop said. six.there are a few 56IIs or 56-2s exist in the world. as when 56-2 came out, the 81 and 82 was in progress and 81 made its way to the front and finally entered services, so 56-2 was not issued to many units and quickly replaced too. seven, reserves use 56s, or many 56 semi-auto (SKS), my friend is in reserves. maybe 81 will be issued to them as the regulars use 95s. 92 is not being issued very fast. by now i think they still use 54, i have to check with that. please correct as i am wrong. what?! m16? 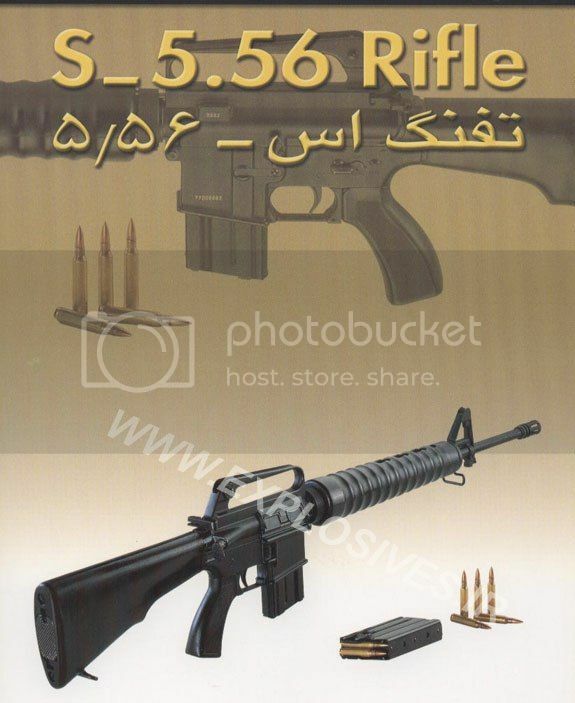 but that's just a chinese rip off of m4 with a grenade launcher. m16 has way longer barrel. 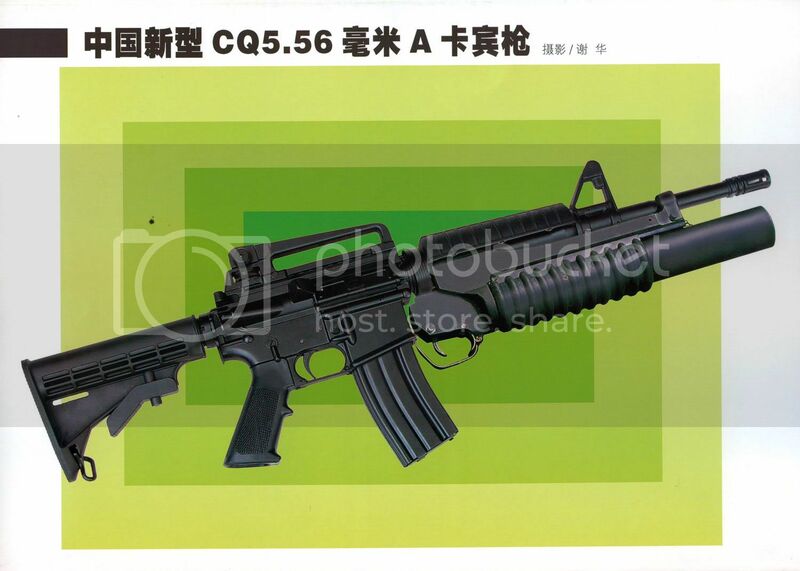 there is a norico M16 as well. the CQ. what is a type-56c and is there any pic? ?